Considerable evidence has indicated that a drug used for more than 50 years to treat Type 2 diabetes can also prevent or slow the growth of certain cancers. 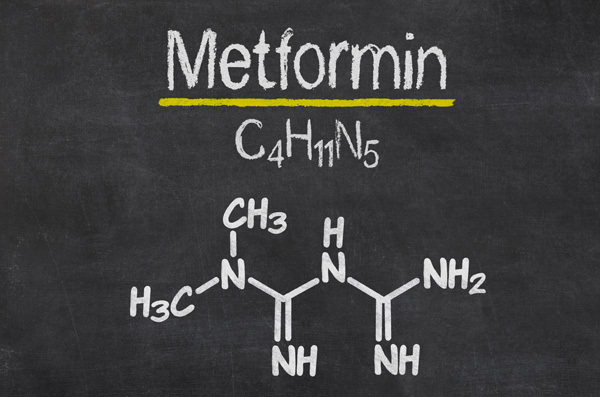 But the mechanism behind metformin’s anticancer effects has been unknown. 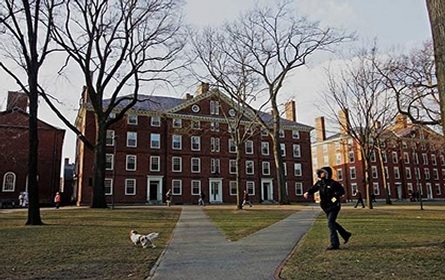 Now, a team of Harvard Medical School investigators at Massachusetts General Hospital has identified a pathway that appears to underlie metformin’s ability both to block the growth of human cancer cells and to extend the lifespan of the C. elegans roundworm. Their findings imply that this single genetic pathway plays an important role in a wide range of organisms. “We found that metformin reduces the traffic of molecules into and out of the nucleus—the ‘information center’ of the cell,” said Alexander Soukas, HMS assistant professor of medicine at Mass General and senior author of the study published in Cell. Metformin appears to lower blood glucose in patients with Type 2 diabetes by reducing the liver’s ability to produce glucose for release into the bloodstream. Evidence has supported the belief that metformin blocks the activity of mitochondria, the powerhouses of the cell. But, Soukas said, more recent information suggests the mechanism is more complex. Several studies have shown that individuals taking metformin have a reduced risk of developing certain cancers and of dying from cancers that do develop. Current clinical trials are testing the impact of metformin on cancers of the breast, prostate and pancreas. Several research groups are working to identify its molecular targets. Soukas’ team had observed that, just as it blocks the growth of cancer cells, metformin slows growth in C. elegans, suggesting that the roundworm could serve as a model for investigating the drug’s effects on cancer. Their experiments found that metformin’s action against cancer relies on two elements of a single genetic pathway: the nuclear pore complex, which allows the passage of molecules into and out of the nucleus, and an enzyme called ACAD10. Basically, metformin’s suppression of mitochondrial activity reduces cellular energy, restricting the traffic of molecules through the nuclear pore. This shuts off an important cellular growth molecule called mTORC1, resulting in activation of ACAD10, which both slows the growth and extends the lifespan of C. elegans. In human melanoma and pancreatic cancer cells, the investigators confirmed that drugs in the metformin family induced ACAD10 expression, an effect that depended on the function of the nuclear pore complex. Without the complete signaling pathway—from mitochondrial suppression through nuclear pore restriction to ACAD10 expression—cancer cells were no longer sensitive to the effects of metformin-like drugs. The essential contribution of ACAD10 to metformin’s anticancer action is intriguing, Soukas added, because the only published study on ACAD10 function tied a variant in the gene to the increased risk of Type 2 diabetes in Pima Indians, suggesting that ACAD10 also has a role in the drug’s antidiabetes action. Support for this study includes National Institutes of Health grants R03DK098436, K08DK087941, R01DK072041 and R01CA166717; a Broad Institute SPARC Grant; and the Ellison Medical Foundation New Scholar in Aging Award. The research reveals that osteocrin—a gene found in the skeletal muscles of all mammals and well-known for its role in bone growth and muscle function—is completely turned off in rodent brains yet highly active in the brains of nonhuman primates and humans. Notably, osteocrin was found predominantly in cells of the neocortex—the most evolved part of the primate brain, which regulates sensory perception, spatial reasoning and higher-level thinking and language in humans. The HMS team’s findings—part of an ongoing quest to elucidate the mechanisms that underlie human brain development, function and disease—reveal that osteocrin is precisely one such gene, activated by sensory stimulation. Furthermore, the team added, this is the first illustration of evolutionary gene repurposing in the brain. For their experiments, the team analyzed RNA levels—the molecular footprints of gene activity—in the brain cells of mice, rats and humans. Although many of the same genes were activated in both mouse and human brain cells, the scientists observed, a small subset of genes was activated solely in human brain cells. Much to the scientists’ surprise, the bone gene osteocrin was most highly expressed in the human brain, yet completely shut off in the brain cells of mice. When researchers compared osteocrin levels to levels of another brain protein, BDNF, well known for its role in neuronal growth and repair, they noticed another striking difference. While BDNF was present throughout the brain, osteocrin was restricted to the neocortex and, to a lesser extent, the amygdala, an area of the brain thought to play a role in memory formation, decision making and emotional responses. Osteocrin was also markedly expressed in cells of the temporal lobe, which houses functions such as learning, memory and audio-visual processing—and the occipital lobe, which houses the visual cortex, the area of the brain responsible for the processing of visual information. 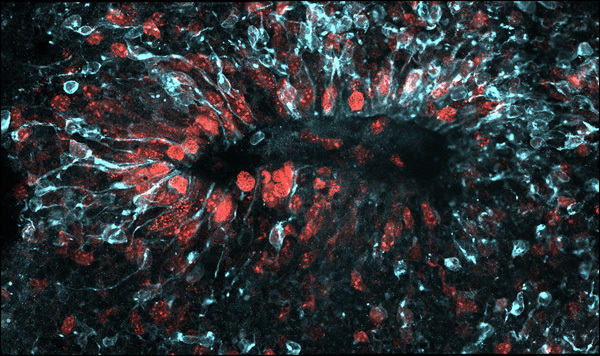 Further analysis revealed that in the primate brain, sensory stimulation appears to switch on osteocrin through a previously unknown DNA enhancer. Enhancers—snippets of DNA that act as the genome’s regulators—are the “handles” that turn on some genes while shutting off others. In doing so, enhancers can profoundly alter genetic expression, fueling dramatic differences between organisms with nearly identical DNA. The rodent versions of osteocrin lacked the stimulation-activated DNA enhancer, the analysis showed. Further analysis revealed that osteocrin’s activation curbed the growth of neuronal dendrites—branchlike projections responsible for transmitting signals from one brain cell to the next. The research was funded by the National Institutes of Health grants RC2MH089952 and P50MH106933 with additional support from the Ellen R. and Melvin J. Gordon Center for the Cure and Treatment of Paralysis at Spaulding Rehabilitation Hospital and by the NIH’s Ruth L. Kirschstein National Research Service Award 5F32NS086270. Researchers have developed a large plate on which to film bacteria as they mutate in the presence of higher and higher concentrations of antibiotics, providing unprecedented insights into the phenomenon of antibiotic resistance. “Our device allows us to systematically map the different ways by which bacteria can become resistant to a range of antibiotics and antibiotic combinations,” said co-author Roy Kishony, a professor in the department of systems biology at Harvard Medical School and a principal investigator at Technion-Israel Institute of Technology. The 2-by-4 foot petri dish used by the researchers to grow the bacteria contains nine bands at its base that can support varying concentrations of antibiotic. The results are reported in the 9 September issue of Science. Antibiotics have been used to treat patients since the 1940s, greatly reducing illness and death. However, these drugs have been used so frequently that the bacteria they are designed to kill have adapted to them in many cases, making the drugs less effective. At least 2 million people become infected with bacteria resistant to antibiotics each year in the United States, according to the Centers for Disease Control and Prevention, and at least 23,000 of these die as a result. To better understand how antibiotic resistance evolves in space and time, Baym and his colleagues developed a device called the microbial evolution growth arena plate, or MEGA-plate. The researchers used the antibiotics trimethoprim and ciprofloxacin in the MEGA plate in concentrations from zero to 10,000 times the original dose. On the right side of the plate where antibiotic levels were zero, Baym, Kishony, and colleagues grew Escherichia coli bacteria, which appeared white on the inky black background. Over two weeks, a camera mounted on the ceiling above the plate took periodic snapshots of the bacteria mutating. In the band with no antibiotic, the bacteria spread up until the point where they could no longer survive as they mingled with the first traces of antibiotic. Then, a small group of bacteria developed genetic mutations that allowed them to persist. As these drug-resistant mutants arose, their descendants migrated to areas of higher and higher antibiotic concentration, developing further mutations to compete with other mutants around them. As they continued their journey to the highest antibiotic concentration level, all remaining bacterial mutants had to evolve further still. Through this process of cumulative, successive mutations, the researchers could visualize how bacteria that are normally sensitive to antibiotics can evolve resistance to extremely high concentrations — those up to 100,000-fold higher than the one that killed their predecessors — in just over ten days. The bacteria were unable to adapt directly from zero antibiotic to the highest concentrations, for both drugs tested, revealing that exposure to intermediate concentrations of antibiotics is essential for the bacteria to evolve resistance. Initial mutations at each new band on the plate led to slower growth, hinting that bacteria adjusting to the antibiotic aren’t able to grow at ideal speed while developing mutations. Once fully resistant, however, such bacteria regained normal growth rates. Intriguingly, the researchers also found that the location of bacterial species played a role in their success in developing resistance. For example, when the researchers moved the trapped mutants — those behind their fast-moving, fit counterparts — to the “frontlines” of the growing bacteria, they were able to grow into new regions where the frontline bacteria could not. This overturns the assumption that mutants that survive the highest concentration of a drug drive the fitness of bacterial populations; rather, it is those mutants that are both sufficiently fit and arise sufficiently close to the advancing front that lead the evolutionary road. The work of Baym, Kishony, and colleagues was inspired by Hollywood wizardry, the authors say. Kishony saw a digital billboard advertising the 2011 film Contagion, a grim narrative about a deadly viral pandemic. The marketing tool was built using a giant lab dish to show hordes of painted, glowing microbes creeping slowly across a dark backdrop to spell out the title of the movie.